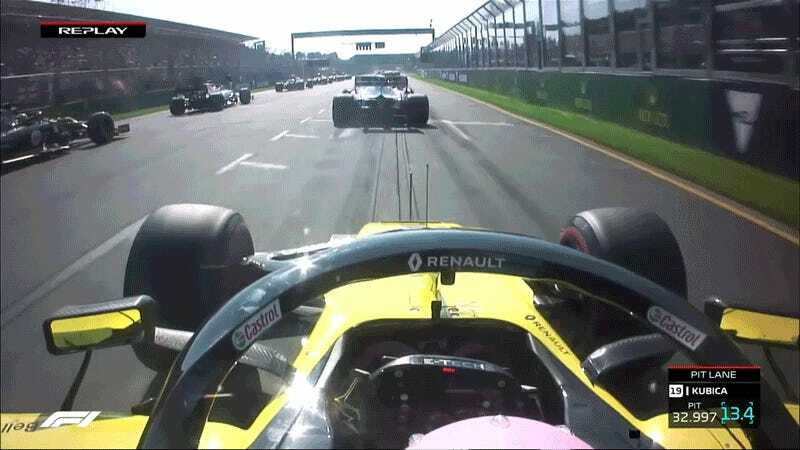 Daniel Ricciardo didn’t make it to the finish of the Australian Grand Prix this year, but he did make it to the first corner, which is something of an achievement given that his front wing exploded. Ricciardo left the perhaps less than stress-free climes of Red Bull Racing to join eager team Renault this year and certainly things could have gone better for his debut race. 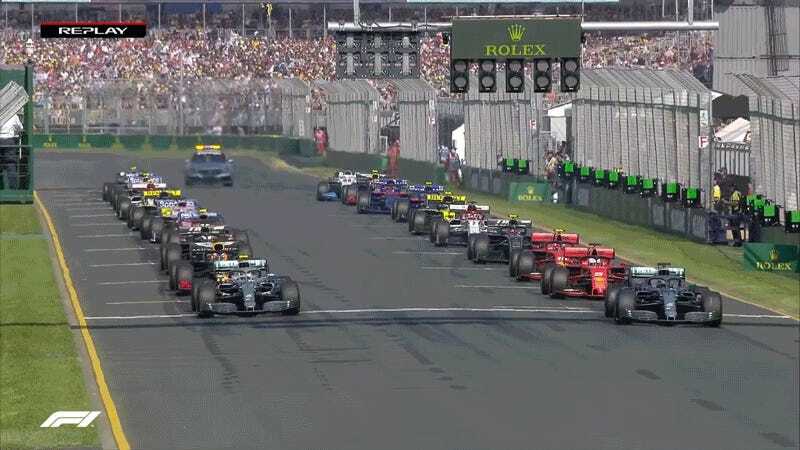 He just slightly went onto the grass at the start and boom goodbye all of your aero keeping your front wheels pressed into the ground. I had to double check this clip to see if Ricciardo actually made up some places braking for that first corner or not. Not that it’s super important; he retired later in the race.